The church must be reminded that it is not the master or the servant of the state, but rather the conscience of the state. ~ Martin Luther King, Jr. In the mean time, what is the point of repeating the old tale as to what the state is becoming? Once the sour critical analysis of sometime ago (Herbert Marcuse: One-Dimensional Man), the dark negative utopias (Aldous Huxley, George Orwell) and the protest cries (May 68) are forgotten, and with a near lack of the slightest sense of resistance in civil society, the cobweb of power spins peacefully over our heads, all over the place. Even the dressing room. Joxe Azurmendi, Demokratak eta biolentoak, (1997), p. 101. War is the health of the State. It automatically sets in motion throughout society those irresistible forces for uniformity, for passionate cooperation with the Government in coercing into obedience the minority groups and individuals which lack the larger herd sense. The machinery of government sets and enforces the drastic penalties. … In general, the nation in wartime attains a uniformity of feeling, a hierarchy of values culminating at the undisputed apex of the State ideal, which could not possibly be produced through any other agency than war. Other values such as artistic creation, knowledge, reason, beauty, the enhancement of life, are instantly and almost unanimously sacrificed, and the significant classes who have constituted themselves the amateur agents of the State, are engaged not only in sacrificing these values for themselves but in coercing all other persons into sacrificing them. 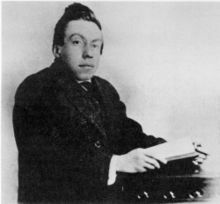 Randolph Bourne, ¶11 of §I of "The State" (1918). Published under "War and the Herd," The State (Tucson, Arizona: See Sharp Press, 1998), p. 9. Louis D. Brandeis, dissenting, New State Ice Co. v. Liebmann, 285 U.S. 311 (1932). We are gong down the road to stateism. Where we will wind up, no one can tell, but if some of the new programs seriously proposed should be adopted, there is danger that the individual—whether farmer, worker, manufacturer, lawyer, or doctor—will soon be an economic slave pulling an oar in the galley of the state. James F. Byrnes, "Great Decisions Must Be Made," speech delivered at the bicentennial celebration of Washington and Lee University, Lexington, Virginia (June 18, 1949); Vital Speeches of the Day, July 15, 1949, p. 580. J. M. Coetzee, Diary of a Bad Year (2007), p. 17. The complex notion of the ‘provisional’ character of the State is the reason why the attitude of the first Christians toward the State is not unitary, but rather appears to be contradictory. I emphasize, that it appears to be so. We need only mention Romans 13:1, ‘Let every man be subject to the powers that be ... ,’ alongside Revelation 13: the State as the beast from the abyss. Oscar Cullmann, The State in the New Testament. The first act by virtue of which the State really constitutes itself the representative of the whole of society — the taking possession of the means of production in the name of society — this is, at the same time, its last independent act as a State. State interference in social relations becomes, in one domain after another, superfluous, and then dies out of itself; the government of persons is replaced by the administration of things, and by the conduct of processes of production. The State is not "abolished." It dies out. Friedrich Engels, Socialism, Utopian and Scientific, trans. Edward Aveling (1901), p. 49. A question like the present should be disposed of without undue delay. But a State cannot be expected to move with the celerity of a private business man; it is enough if it proceeds, in the language of the English Chancery, with all deliberate speed. Oliver Wendell Holmes, Jr., Virginia v. West Virginia, 222 U.S. 19–20 (1911). The best known use of the phrase "all deliberate speed" is in Chief Justice Earl Warren's opinion of the court, Brown et al. v. Board of Education of Topeka, et al., 349 U.S. 301 (1954). Statism is the Utopian ideal that just the right amount of violence used by just the right people in just the right direction can perfect society. The organizing principle of any society is for war. The basic authority of the modern state over its people resides in its war powers. Today it's oil, tomorrow, water. It's what we like to call the GOD business: Guns, Oil, and Drugs. But there is a problem. Our way of life, its over. It's unsustainable and in rapid decline. That's why we implement demand destruction. We continue to make money as the world burns. But for this to work the people have to remain ignorant of the problem until it's too late. That's why we have triggers in place: 9/11, 7/7, WMDs. A population in a permanent state of fear does not ask questions. Our desire for war becomes its desire for war. A willing sacrifice. You see, fear is justification, fear is control, fear is money. Martin Luther King, Jr., Strength to Love (1963), p. 47. Charles Krauthammer, column, July 20, 2012, "Did the state make you great? : Virtues Obama discounts" at jewishworldreview.com. The state is essentially an apparatus of compulsion and coercion. The characteristic feature of its activities is to compel people through the application or the threat of force to behave otherwise than they would like to behave… A gang of robbers, which because of the comparative weakness of its forces has no prospect of successfully resisting for any length of time the forces of another organization, is not entitled to be called a state... The pogrom gangs in imperial Russia were not a state because they could kill and plunder only thanks to the connivance of the government. The worth of a State, in the long run, is the worth of the individuals composing it; and a State which postpones the interests of their mental expansion and elevation, to a little more of administrative skill, or of that semblance of it which practice gives, in the details of business; a State which dwarfs its men, in order that they may be more docile instruments in its hands even for beneficial purposes—will find that with small men no great thing can really be accomplished; and that the perfection of machinery to which it has sacrificed everything, will in the end avail it nothing, for want of the vital power which, in order that the machine might work more smoothly, it has preferred to banish. John Stuart Mill, On Liberty (1859), republished in ed. David Spitz, chapter 5, p. 106 (1975). [I]it was only in recent modern times that Western societies began expecting the state to secure constant economic growth and rising prosperity. Well into the 20th century people expected little more from the state than that it protect them from foreign powers, and expand the influence or territory of the nation. Prussia was remarkably like North Korea in many ways, yet we remember it as a very successful state. The State is a conspiracy designed not only to exploit, but above all to corrupt its citizens. This page was last edited on 2 December 2018, at 22:18.